The IRFU has a dedicated Referee Department headed up by former professional referee, Dudley Phillips. 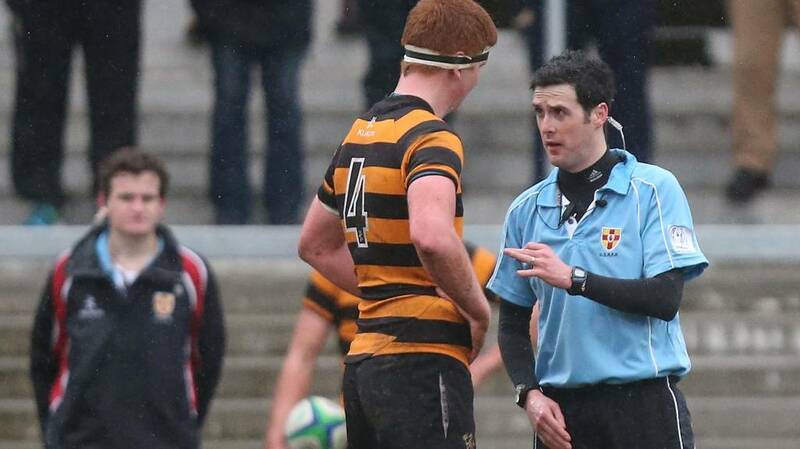 There are referee associations in each of the Provinces – Connacht, Leinster, Munster and in Ulster, the latter being the Ulster Society of Rugby Football Referees (USRFR). Stay within the game – Are you an injured or recently retired player? Refereeing is a great way of staying involved in rugby on the pitch! Social – The social aspects of rugby are renowned and refereeing is a great way to meet up with old friends as well as meet new people. Club within a club – Referees meet up regularly and there is a great team spirit. Ambition – How far can you go? Could you be Ulster’s next International referee? The IRFU offer a range of courses and coaching workshops, commencing at ‘starter’ level and progressing up through the grades.